In the development of Kung Fu action movies, the contribution made by Siu Kee Lun is second to none. 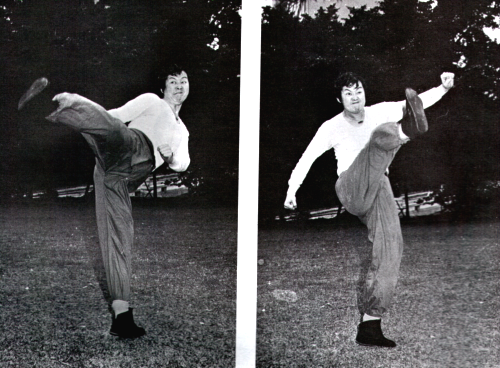 As a stuntman and Kung Fu advisor, for most of the time Siu Kee Lun had been the unsung hero of the screen. For his role, Siu Kee Lun has to be able to meet the exacting needs to perform acrobatic and fighting feats and to direct the others in the smooth filming of those spectacular and exciting fighting sequences which we come to expect on the screen. Despite his youthfulness, Siu Kee Lun has been in the film industry for some thirty years the last several years as technical Kung Fu advisor. In the filming circle, Siu Kee Lun has earned himself the nickname of king of somersaults. It is not surprising as Siu Kee Lun can make somersaults non-stop until exhaustion. Appearing on stage, he is never known to have lost his direction or balance because of the difficult feats he had to perform. Siu Kee Lun is only a stage name, his real name is Chan Yuen Chung. Siu Kee Lun's father was also a show business personality, together with Lee Hoi Chuen, the father of Bruce Lee, they were very much sought after for performance in Cantonese operas and for filming. The Lees and Chans were close friends in or out of the theatre. 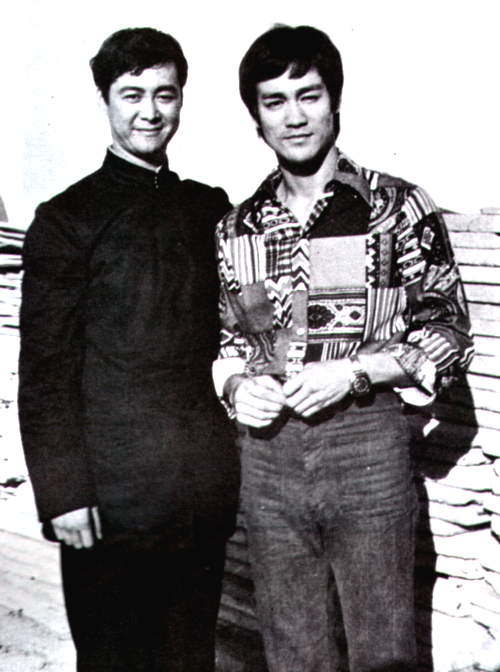 Bruce Lee and Siu Kee Lun were friends from a very small age, but they were separated by Bruce Lee's decision to study and try for his fortune abroad in the U.S.
A few years ago when Bruce Lee decided to return to Hong Kong, it was Yu Ming (Bruce's uncle and a TV actor) and Siu Kee Lun who did the groundbreaking work for him. Siu Kee Lun had used his influence and power of persuasion as a gobetween to help Bruce establish himself in Hong Kong. He was seen with the producers, directors and going in and out of major studios. All these culminated in the successful making of THE BIG BOSS with Bruce Lee taking the leading role. The Big Boss was a film epic, it swept all before him, breaking box-office records in every city it was shown. It brought Bruce Lee immediate fame and fortune, and a new idol - Bruce Lee, also emerged in Hong Kong and the world over. Siu Kee Lun too has been most prominent. 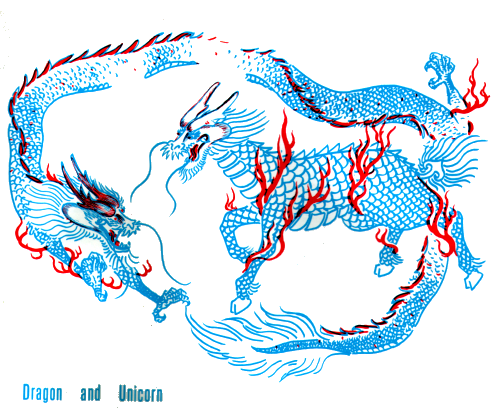 In appreciation of Siu Kee Lun's effort in helping him Bruce Lee gave much assistance to help Siu Kee Lun to produce his first major film, THE UNICORN PALM, which was highly successful. Siu Kee Lun later also appeared in other films starring Bruce Lee. The untimely and mysterious circumstances which marked the death of Bruce Lee was a great personal loss to Siu Kee Lun in particular. Amongst Bruce Lee's friends in Hong Kong, there was no one closer to him than Siu Kee Lun:, Siu Kee Lun was someone Bruce Lee could confide to. 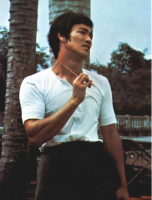 Bruce Lee is no longer with us, but his legend and Jeet Kune Do - his way of fighting lives on. In his life time, Bruce Lee had many students including such Hollywood celebrities as Steve McQueen, Jame Coburn, Sharon Tate and Dean Martin, but he was not known to have any students in Hong Kong, except for one person. And that person was Siu Kee Lun. It is not an extravagant claim that Siu Kee Lun is the successor to Bruce Lee's Jeet Kune Do in Hong Kong. 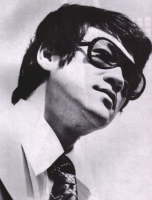 Siu Kee Lun had received instructions on Jeet Kune Do from Bruce Lee himself during his last years in Hong Kong, As they were good friends from childhood days, the atmosphere was much less formal. Siu Kee Lun remembers vividly the unique and interesting manners in which Bruce Lee taught him. Firstly Bruce Lee asked Siu Kee Lun to do some running on the beach daily. The beach was chosen because of Bruce Lee's own preference as running in the sand would build up stamina, strengthen the calves and give more power in making kicking attacks. There were also other exercises too, these included sit-ups, push-ups, pulling of springs and weightlifting. On the actual techniques, there was no traditional boxing forms, only loose but simple and practical movements. Bruce Lee set a very high standard for Siu Kee Lun, he asked for speed, power and accuracy in the execution of every movement, and to maintain the very essence of Jeet Kune Do, that is to be free, fluid and mobile. Much of the training was in Bruce Lee's palatial home. In his home, Bruce Lee set aside a big room as his daily training gymnasium. It was well kept and well-equipped, with all kinds of training apparatus, some of them electrical. 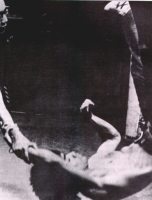 Bruce Lee not only taught Siu Kee Lun, but also sparred with him in order to maintain his own sharpness. 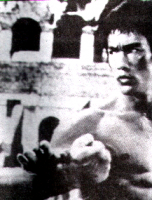 Bruce Lee impressed onto Siu Kee Lun the importance of consisteny in training. He drew up an agreement with Siu Kee Lun that he must be present and punctual on every practice session when he breaks that rule. Under the top calibre intructor and most ideal conditions and every encouragement given, Siu Kee Lun worked so hard as he had never tried before. 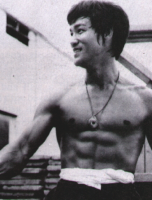 The benefit of training under Bruce Lee continued to pay handsome dividends. Not only has Siu Kee Lun a new assessment and approach to Kung Fu, but also enhanced his position today as one of the leading Kung Fu movie actors. At present, Siu Kee Lun is busily occupied in filming, if not seen in the major studios, or on location, he is to be found at the studios of Rediffusion Television appearing in their many popular TV series. Recently during filming on location in the Philippines, Siu Kee Lun met and fell in love with a beautiful Filipina, last December, the happy couple were married.